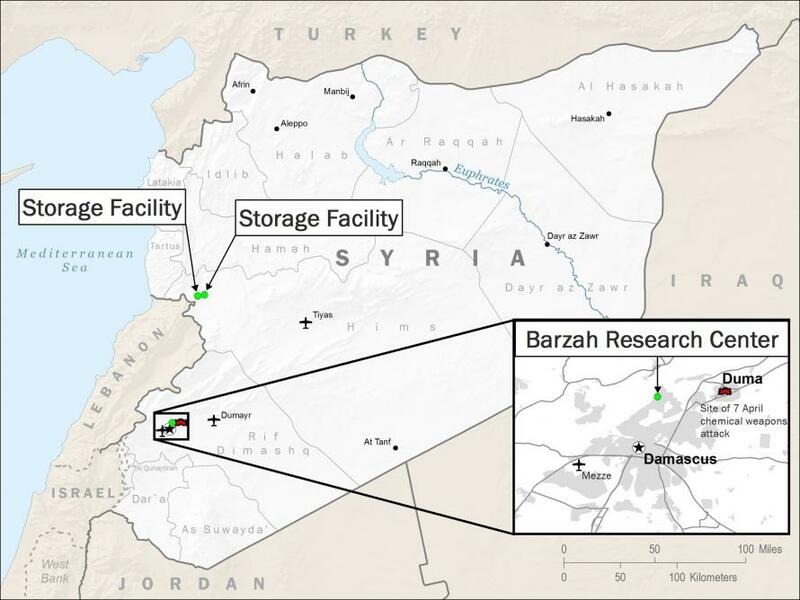 While the lack of retaliation by Russia to Trump's Friday night Syrian airstrikes surprised some, Russia defended its stance of shrugging in response (and not escalating to full blown world war), by asserting that Soviet-made missiles intercepted more than half of the 105 cruise missiles fired at three Syrian facilities (the Pentagon denied any missiles were hit), and that the US, UK and French blitz was generally less aggressive than most had feared, perhaps thanks to extensive advance warnings by Trump that an attack was imminent. Yet if Russia's managed response is understandable, one country whose vocal outcry to US strikes has been a surprise, is China. As we reported yesterday, China was the first superpower outside those directly involved to slam the US airstrikes: "Any unilateral military action violates the United Nations charter and its principles and international law and its principles. [The strikes] are also going to add more factors to complicate the resolution of the Syrian crisis," Chinese foreign ministry spokeswoman Hua Chunying said in a statement on Saturday afternoon. Beijing also called for an investigation into claims of a Syrian poison gas attack on the rebel-held town of Douma that rescuers and monitors say killed more than 40 people, and prompted the Western action: "The Chinese side believes a comprehensive, impartial and objective investigation should be conducted into the suspected chemical attacks and it should come up with reliable conclusions ... Before this, no conclusion by any side should be made,” Hua said. Then, on Saturday during the emergency session of the Security Council on Saturday, Russia proposed a resolution urging the US and its allies to “immediately and without delay cease the aggression against the Syrian Arab Republic and refrain from further aggressive acts in violation of the international law and the UN Charter." Not surprisingly, the proposal was voted down - and would have been vetoed by the US - but the roll call was surprising: Russia and Bolivia voted in favor of the resolution... alongside with China. Finally, overnight China also reminded its population that while the US is engaging in a contained "hot war" with Syria, Beijing is currently fighting a trade war with Washington D.C. when in a front-page OpEd on the state-owned nationalist tabloid Global Times, the politburo authorized a scathing article in which it once again slammed Trump's involvement in Syria, claiming that "the facts cannot be distorted. This military strike was not authorized by the UN, and the strikes targeted a legal government of a UN member state... it has not been confirmed if the chemical weapons attack happened or if it did, whether government forces or opposition forces launched it. International organizations have not carried out any authoritative investigation." The Syrian government has repeatedly stressed that there is no need for it to use chemical weapons to capture the opposition-controlled Duma city and the use of chemical weapons has provided an excuse for Western intervention. The Syrian government's argument or Trump's accusations against the "evil" Assad regime, which one is in line with basic logic? The answer is quite obvious. The US has a record of launching wars on deceptive grounds. The Bush government asserted the Saddam regime held chemical weapons before the US-British coalition troops invaded Iraq in 2003. However, the coalition forces didn't find what they called weapons of mass destruction after overthrowing the Saddam regime. Both Washington and London admitted later that their intelligence was false.